Follow the steps below to get connected via USB. Make sure that USB cable allows both CHARGING and DATA COMMUNICATION. To connect from a browser, install Mobizen Mirroring PC application first. Web plugin (MobizenService.exe) will be installed. 1) First, activate DEVELOPER OPTIONS. Tab [Build No.] option 7 to 8 times continuously until the message "You are now a developer" is shown. 3) Connect the USB cable between PC and smartphone. 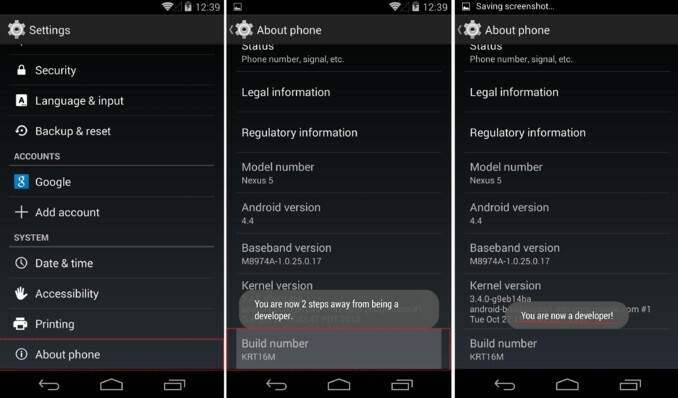 If the above messages are not shown, then connection might not be stable. Reconnect or change the cable. 2. Connecting with Mobizen Mirroring and installing the Unified driver. Connect the PC and smartphone with USB cable, launch Mobizen Mirroring and login to get connected. During the connection process, you will be prompted to (1) install the Unified driver and (2) Installation agreement window. 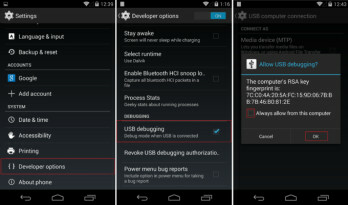 in case USB debugging permission window pops up on the smartphone, make sure to check on "Always allow from this computer" and wait to be connected. - Mobizen plugin is required to connect from wb browser using USB. - Plugin is installing automatically when the PC application is installed. - In case MobizenService.exe is not enabled, then you need to manually start it (Control Panel > Administrator tool > Services > Start "mobizen plugin").